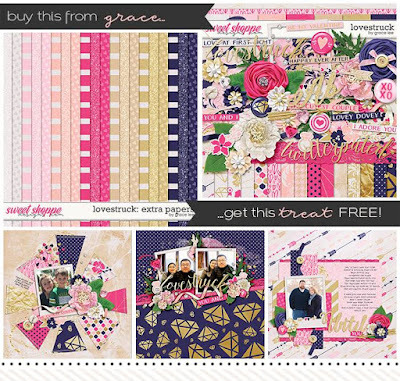 This week there are two kits each with a free with purchase offer! 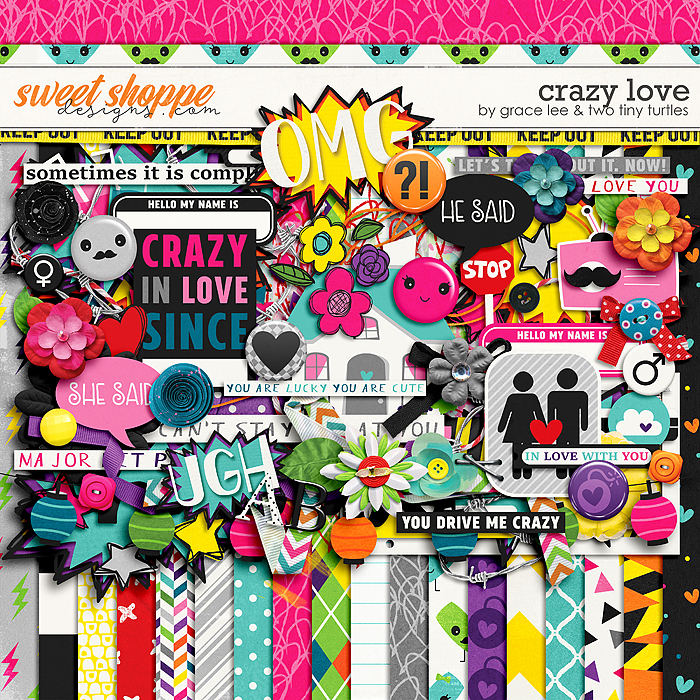 Crazy Love, a collaboration with Two Tiny Turtles, puts a twist on your typical love-themed kit. It is unavoidable that the people we love sometimes push our our buttons and make us mad, but we love them anyway. 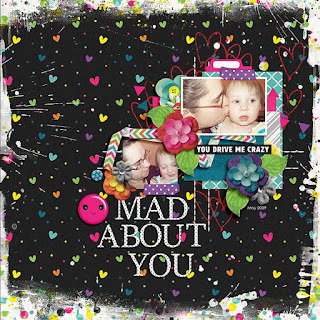 Whether you're crazy in love or the person you love is driving you crazy, this kit has something in it for you! 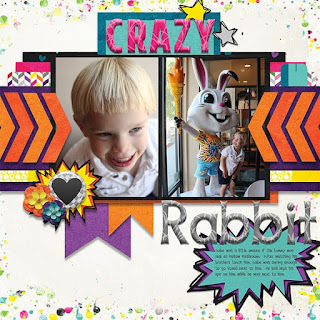 Scrap the whole gamut of emotions with the funky colors and funny word art in this kit! 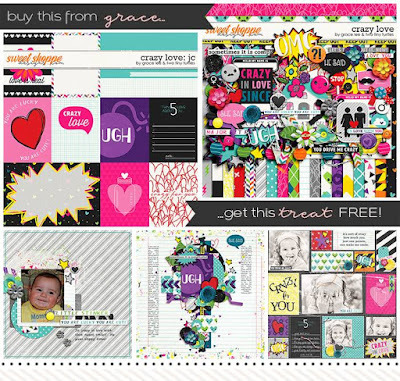 Purchase Crazy Love and get the Crazy Love: Journal Cards FREE! Lovestruck is for the lovey-dovey moments in your life. Are you head-over-heels in love with someone? Does he/she make your heart race? Is there a fun date night or anniversary you want to scrap about? 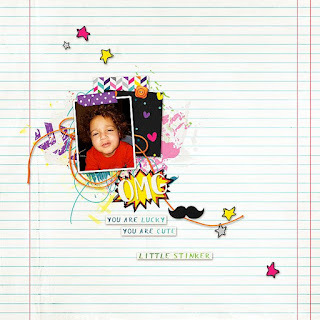 If so, Lovestruck is perfect for you. 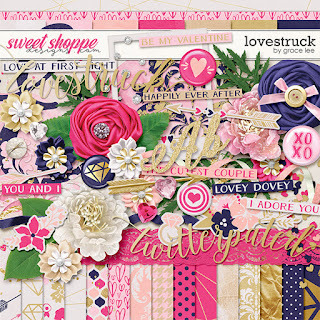 With an eyecatching palette of pink, navy and gold, and lots of foil, floral and fun accents like arrows and diamonds, this kit is a great fit for any love story. 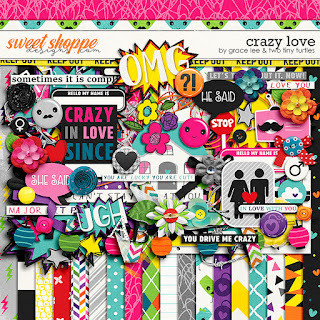 Purchase Lovestruck and get Lovestruck: Extra Paper FREE! 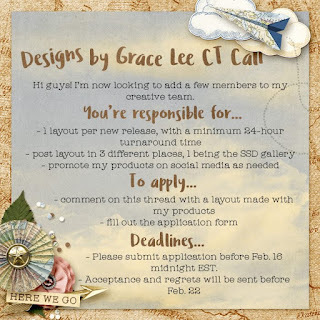 Would you like to join the Designs by Grace Lee Creative Team? Check out all the information and how to apply HERE. I look forward to see all the applications.